You'll be £4.99 closer to your next £10.00 credit when you purchase The Handley Page Victor - Volume 2. What's this? The first volume of Roger Brooks' detailed reference to the Victor covers the conception, design and test-flying of the prototype HP 80 and then the production and operation of the Mark 1 in its many roles. This second volume completes the history of the aircraft by describing the improved Mark 2 that was primarily conceived to carry Britain's Blue Steel nuclear deterrent. The aircraft was to be re-engined with the Rolls-Royce Conway and the enlargement of the air intakes in the wing are one of the more noticeable external differences on these models. When the V-Bomber Force lost its primary raison d'etre as the delivery vehicle for the nuclear deterrent, the Victors were adapted for the air-to-air refuelling tanker role, a task they successfully carried out until their airframe life was exhausted. 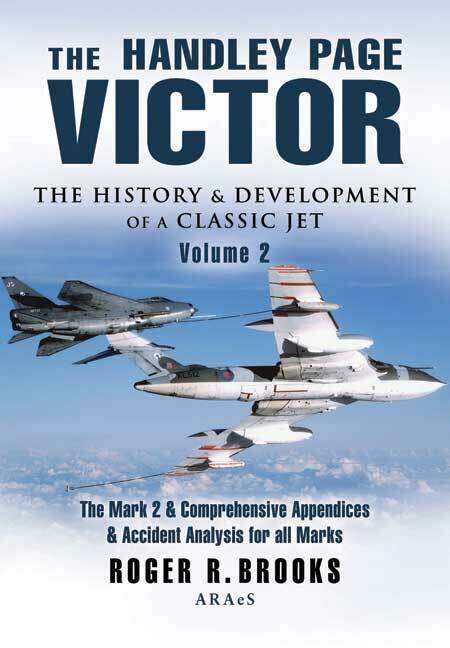 This volume also includes lengthy appendices on all Marks that include a mass of detailed historical information, the testing of many new systems, modifications throughout service life, the author's first-hand experiences as a Victor crew chief, operational records and a complete list of all Victor accidents with a detailed analysis and official reports.